Children are so in-tune with the world and are so often profound and sweet in unexpected ways. I love them more than all the other beautiful, old, handmade, expensive, or sentimental Christmas decorations in our home. 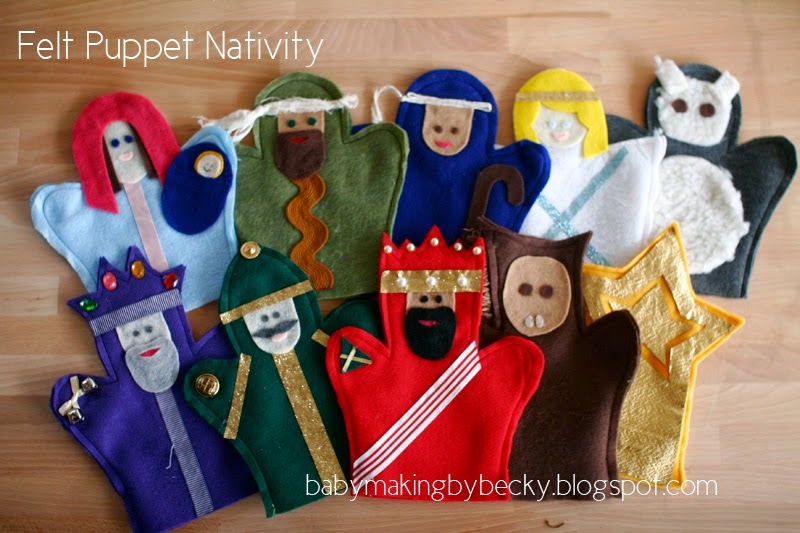 Because with these puppets, every day, my children tell me the story of Christmas over and over again. They are quick to claim the most desirable puppets of Mary and Joseph, followed by the Kings, Angels, and then the animals and shepherd. "Mary, you are going to grow baby Jesus in your belly," says the angel. "There's no beds left at this hotel!" says the inn-keeper. "Hello Baby Jesus, I love you," says the shepherd. "There's a new star, I want to follow it!" says the wise man. The story of Christ is the greatest story ever told, and I am especially fond of this chapter- the tale of his birth. If you haven't seen this lovely video yet, watch it! It was a nativity program from a few weeks ago, featuring lots of Christian YouTubers and musicians. It's lovely. It probably made me cry. They are the perfect age for those puppets. What a wonderful activity for them. I always love hearing what they have to say. Very sweet Becky! We have played with our set you made us, over and over! 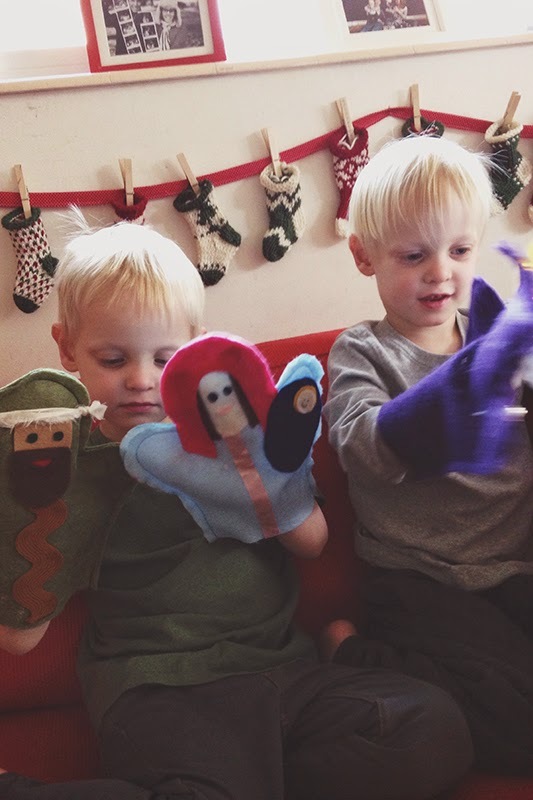 We love the puppets, and they really do engage the boys in the story of Christ in a fun way!